Last year I had purchased a pkg. of Evolon which is a microfiber material made of nylon and polyester. 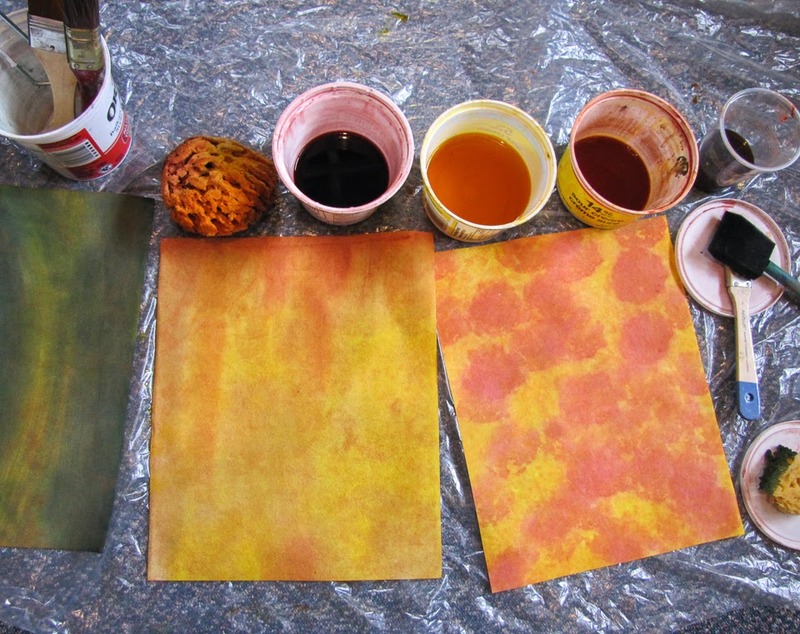 I got around to dyeing a bit of it this weekend and will use it to stitch leaves on and see how well it melts and fuses using a soldering iron. After painting the Evolon I took a piece of cotton and played with painting it as well. I first laid strips of masking tape down for the the fence and using acrylic paint I sponged with blue and then green and some yellow. When it had dried a bit I took the tape off and voila - a white fence. 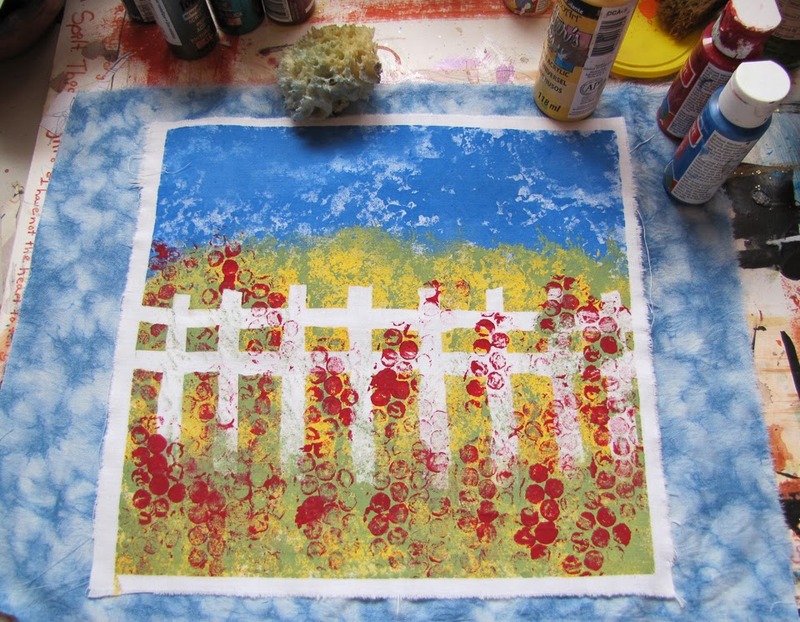 With red, I painted a small piece of bubble wrap and pressed it randomly on top to look like flowers. 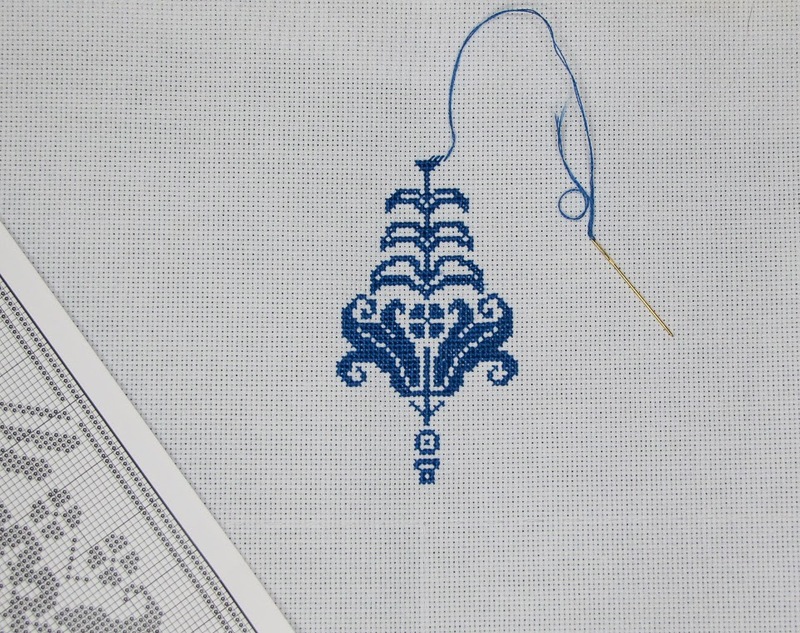 Next I plan to do some free motion embroidery of green vines climbing the rails. Not sure exactly what I'll do after that. Just playing and experimenting and having fun. 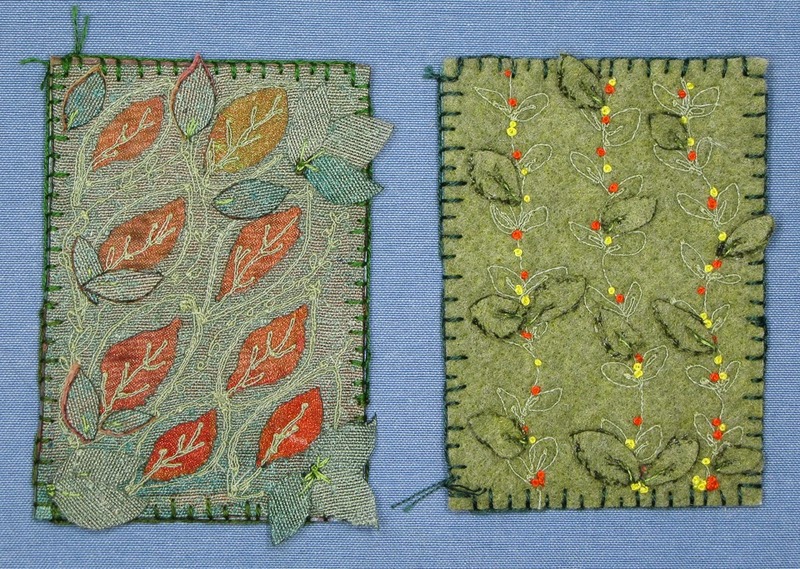 Two more leafy atcs for the Embroiderer's Assoc. of Canada atc challenge that's happening in April. The picture makes them look very flat but I used the soldering iron on both of these to make raised leaves. 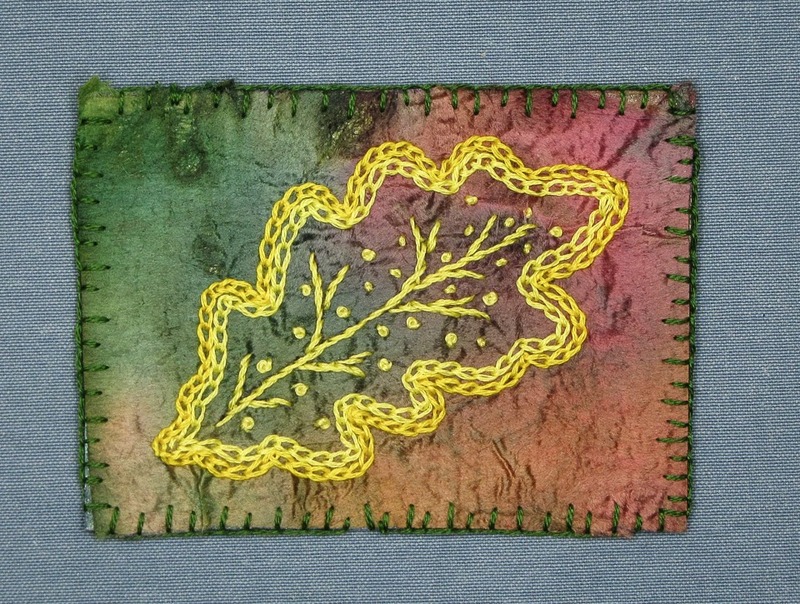 Chain stitch, stem stitch, french knots and buttonhole were stitched on a piece of silk paper for this Oak leaf atc. Woke up this morning to -29 degrees Celsius or -20 Fahrenheit. Brrr - it's a cold one. Stay warm everyone and I hope everyone has time to do some stitching today. Lovely projects! I love what you have done making the fence and the flowers and I hope you will share the project again when it is completed. I hadn't heard of Evolon - will have to check it out! I enjoyed reading about the evolon,I have not heard of it before. I certainly will need to try it some time soon.